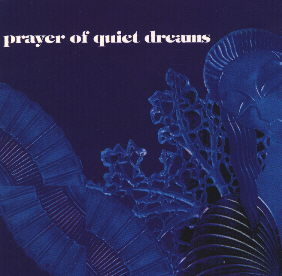 The bootleg CD Prayer Of Quiet Dreams contains mostly soundtrack music that was not available on CD or LP so far. Besides music from the soundtrack album Legend (1986), that was not yet released on CD in 1993, and tracks taken from the Risky Business - The Audio Movie Kit (1983), the CD features short excerpts taken directly from the movies Geradeaus bis zum Morgen (1971), Pauline et L'Ordinateur (1977), Strange Behaviour (1981), Wavelength (1984), Heartbreakers (1985), Red Heat (1986), Shy People (1987) and Rainbow Drive (1990). The last two tracks are live recordings taken during Tangerine Dream's 1993 US tour. Due to the different sources used, the sound quality ranges from bad up to very good. Especially the material taken directly from the movies consists of very short sound snippets only, mixed together to form the tracks. The music was performed by different TD line-ups between 1971 to 1993, but neither credits to the musicians of the various periods are given on CD or cover, nor is Tangerine Dream mentioned on the cover at all.